At first, when I picked up “The Lean Entrepreneur” I was slightly skeptical. I wondered how much new stuff I was going to learn from yet another book on “lean” practices. However, this book by Patrick Vlaskovits and Brant Cooper does provide a lot of interesting case studies and practical tools to implement. “The Lean Entrepreneur” can provide value to both people completely new to lean practices and to those who have applied lean principles previously. Opportunity Matrix – The Opportunity Matrix is in essence a simple way of looking at one’s different (potential) user segments and their relevant characteristics. This tool helps in comparing aspects such as “depth of pain”, “budget” and “size of market” of each individual target segment. Value-Stream Discovery – A key aspect of lean thinking is to identify and optimise the value of your product. For instance, the authors suggest that a high level value stream might look something like this: validate product idea -> validate product -> validate marketing and sales -> validate growth engine. Validating the growth engine is about determining how to convert satisfied customers into passionate and loyal customers, enabling the business to scale. 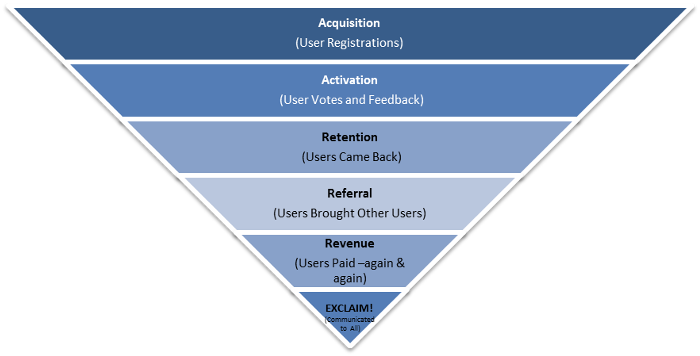 Dave McClure, who introduced “Pirate Metrics” suggests the following steps as part of this specific value discovery process: acquisition -> activation -> retention -> revenue -> referral (see Fig. 1 below). A Minimum Viable Product is about nailing the specific – In the book, Patrick and Brant offer a good reminder of what the Minimum Viable Product (‘MVP’) is and what it isn’t. An MVP isn’t about trying to capture all the general requirements in your product, throwing it against the wall and seeing what sticks. One could argue that this isn’t necessarily a bad approach and that it might even be successful in some cases. However, I liked how the authors stress the importance of “nailing the specific, not the general”. This means figuring out what your customers do with your product to complete the job your customer hired your product for. MVP Testing – I’ve written before about the importance of validating assumptions. The book does also talk about using validation as a core focus for your product focused activities. For instance, when you do interviews with users to find out if there’s a “product-solution fit” it’s all about setting a clear goal for these interviews; “we will talk to 10 customers and validate that they have problem x.” Another example is MVP testing, where the focus is on validating your MVP and validating the value that you expect your MVP to deliver (I’ve included an example in Fig. 2 below). Funnel vision – I SO want to have a ‘funnel vision’! One of the final chapters in The Lean Entrepreneur is dedicated to moving customers through the funnel. As I mentioned in point 2. above, the challenge here is to effectively move your customers through the funnel, in a way that’s appropriate for your business or product. For example, I wondered what a customer funnel can look like for a B-2-B-C business which creates Software-as-a-Service (‘SaaS’) products (see the related “B2B SaaS example” in fig. 3 below). Main learning point: if you’re looking for more practical tools on how to best implement a ‘lean’ product development process, then “The Lean Entrepreneur” is your book. 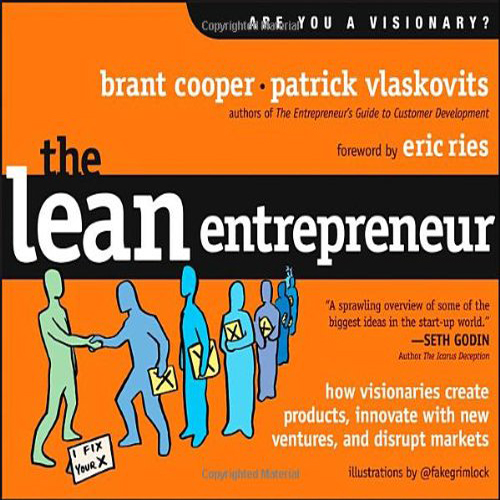 If you’re a ‘lean veteran’ you might already know quite a lot of stuff that’s in the book, but I think you’ll still benefit from both the practical suggestions and the real-life case studies which Patrick Vlaskovits and Brant Cooper have outlined in this great book.